An excursion that unfolds in the municipality of Acquarossa (in the middle of the Valle di Blenio), on the banks of the Brenno river through wetlands of great natural beauty. An area of great landscape and cultural importance, with typical local gastronomic and artisanal products. From the square in front of the community centre in Dongio, skirting the banks of the Brenno river, you reach the tiny Romanesque church of San Remigio, a pleasant rest stop, from where you proceed through the village of Pozzo, with its traditional stone houses. From Pozzo, you quickly arrive in Polo Sociosanitario, an important support base. Once past the village of Comprovasco and after crossing the river again, you will glimpse the buildings of the ancient and now disused thermal baths of Acquarossa, which were already mentioned in 1577 and whose building dates back to the end of the 18th century. 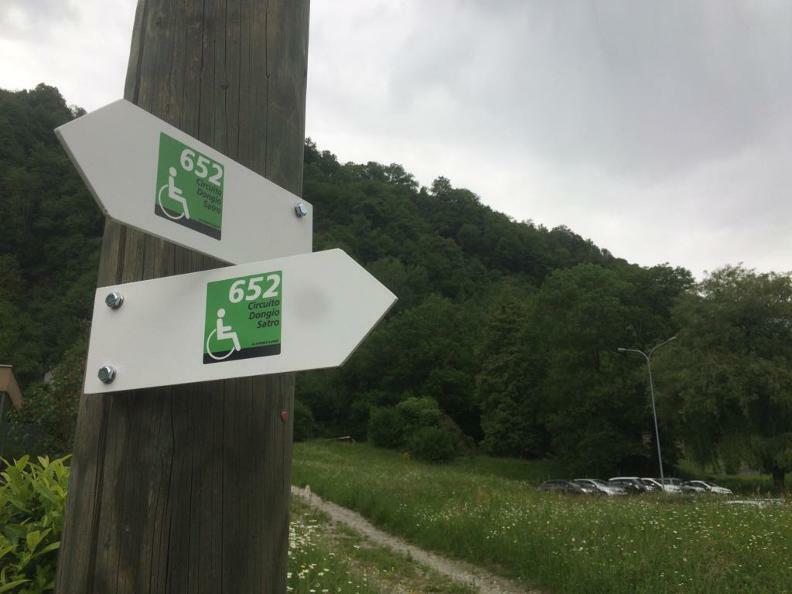 Right after the thermal baths, you follow the old Satro cantonal road, one of the most intriguing historic paths in the whole canton of Ticino. At the end of this road, there is a very special building: the ancient icehouse used in the past to preserve food. From here you take the Via dei Grotti, a cart road lined by a long series of typical Ticino houses, one of which is the Predacài lever-press built in 1789. Dongio is soon reached after crossing the centre of the village of Crespogno, a compact group of traditional buildings. The route travels along on tarmac local roads and byroads. It features gradients of up to 8% as well as several steeper gradients. At San Remigio chapel at km 1.9, there is a gradient of 10% over a distance of 30 m. From km 3.0 to km 3.5, there is a steady rise in gradient from 10% to 12%. At km4.0 at Acquarossa before the bridge, visitors must cross a busy main road without a pedestrian crossing. This requires caution, but the road is visible in both directions. From km 4.8 to km 5.9, the route goes via the old cantonal road, which was built at the beginning of the 19th century. The route is very challenging, as it is unpaved and the surface is loose. However, it will be adapted for wheelchair users in the next few years. The route continues on a tarmac street for a hundred metres, then changes to gravel, followed by a gradient of 12% for a distance of 40 m. The gravel road is 300m long and ends at km 6.3. The final stretch takes place on a tarmac road again, except between km 6.3 and km 6.5, which is cobblestone with a gradient of 8%. There is an incline of 18% for 20 m at km 6.5.